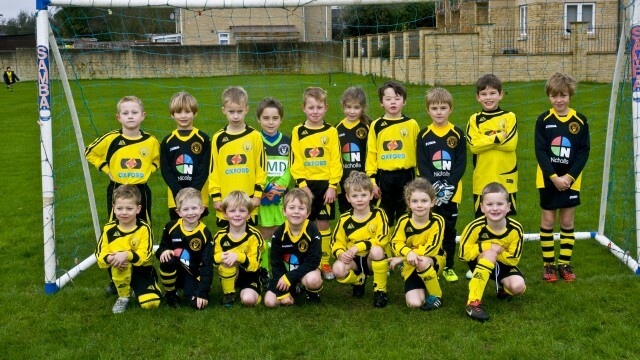 We are now recruiting children aged 5-6 (new year 1s in September – born between 1st September 2009 and 31st August 2010) to build a new Under 7s squad for the 2016-17 season. We are offering a free ‘Introduction to Football’ Academy, from 12th November to 17th December inclusive, between 6-7pm every Thursday. The Academy will be held at Wood Green School on their all-weather AstroTurf Pitch (ATP). We are an FA Charter Standard Club, which means that you can be assured that we maintain the highest standards in youth football. All our coaches are fully trained and have achieved the FA Level 1 Coaching Certificate (we also have FA Level 2 and 3 coaches). In addition, all coaches are CRB checked and have undergone the appropriate training with regard to Emergency First Aid and Safeguarding Children. If you would like your child to attend, please complete the form - link at top of page – and return to either Chris or myself.